Due to color coded collars and an accurate finger sizing method, sizing collars to patients is easy. Stifneck® provides outstanding motion restriction without hyperextension or limiting access to airway, and an oversized tracheal hole enables pulse checks and advanced airway procedures. The Stifneck also stores flat for minimal storage requirements. ClearCollar™ allows first responders, doctors and nurses in the field to assess injuries without removing the cervical collar, reducing the risk of undetected injuries. The patented transparency function of the ClearCollar allows medical personnel to visually monitor a patient’s condition from the moment the collar is placed on the neck, until it is determined safe to remove. While trained medical personnel will visually inspect the area prior to applying an extrication collar, symptoms of thoracic injuries may not be immediately apparent. Removing an extrication collar from a patient subjects them to risk of motion that could result in paralysis. ClearCollar not only medically braces the cervical spine, but its patented transparency feature permits medical staff to visually assess the structures of the neck which may indicate changes in the thoracic area, avoiding the need to prematurely remove a collar. 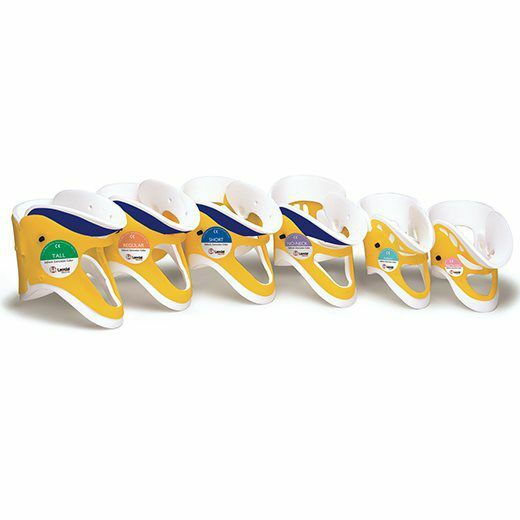 Patients can experience any number of complications from injuries that are concealed by the opaque cervical collars used by most providers. The ClearCollar eliminates the risk of thoracic injuries remaining undetected while minimizing the need for medical professionals to remove the collar. The annual cost of care for a quadriplegic is estimated at $1.3 million (paraplegic $428 thousand). While a patient may experience trauma to the spinal cord in an accident, the severity could be increased during routine examination. Lawsuits have been filed against doctors and institutions claiming further damage had occurred during the removal of an extrication collar. The average settlement for these cases has been in excess of $1 million. With a cost comparable to current extrication collars, the use of the ClearCollar reduces the risk of liability for medical service providers. Quality brand water-jel non-aerosol first aid sprays are both convenient and environmentally friendly. Pump sprays provide more control spraying over the wound and reduces waste. Compact 2 oz. 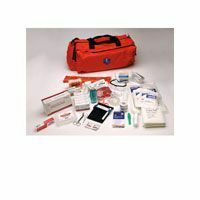 bottles provides hundreds of applications and fit in most first aid kit or cabinet. 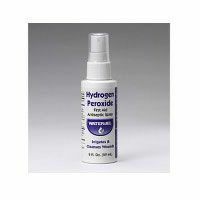 Water-based and water-soluable, contains benzalkonium Chloride to help prevent infection in minor cuts, scrapes and burns. 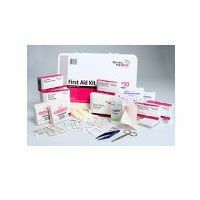 First aid treatment helps prevent infection in minor cuts and scrapes. Solution is 3% hydrogen peroxide by volume. Water-based and water-soluable, contains lidocaine for fast relief of minor burns. 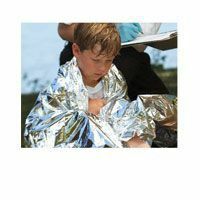 EMS mylar blanket creates barrier to fluids and wind. Insulating. Generous size. 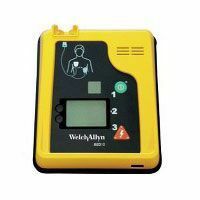 Small pack size, extremely lightweight. Chrome color. Measures 50″ x 84″. 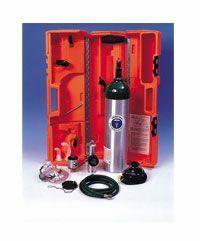 Intended for use in Occupational Health facilities before Fire/Rescue people arrive. Chair folds up and is easily stored on a wall next to those workers who will need assistance in the case of an evacuation. Chair weighs only 34 pounds and can handle up to 400 lbs. With wheelchair-like mobility, one person can use chair for person up to 200 lbs. and just 2 people needed for a person up to 400 lbs. 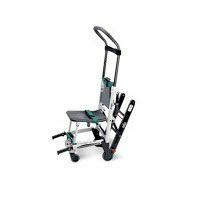 Simply engage the innovative Stair-TREAD to guide the chair down steps without any lifting required. It is the only chair on the market that can enable 2 people to carry a person up the stairs if needed. Other features include molded ABS seat, head support and 3 green polypropylene restraints. Recommend 2 chairs per 100 people in a given facility. Durable construction allows for long-term use as well as use in every evacuation drill. Optional wall storage bracket and cover, sold separately.